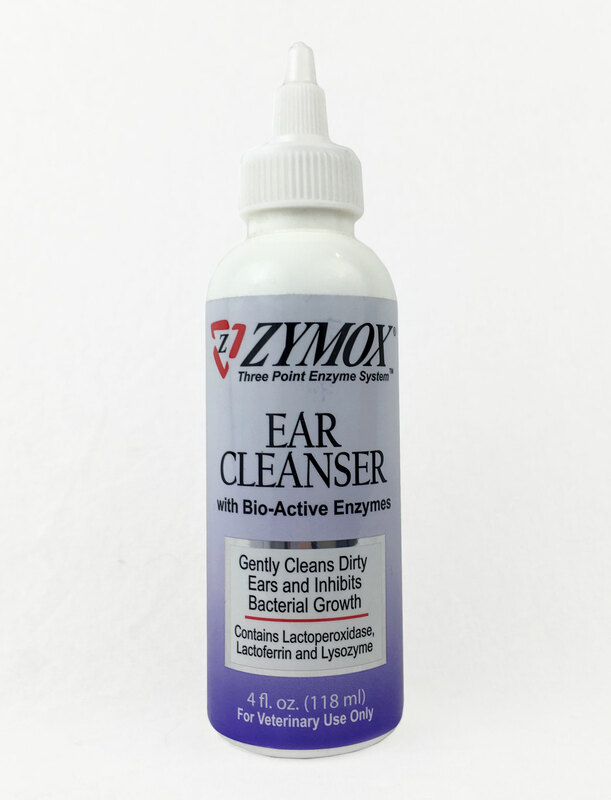 Zymox Ear Cleanser for dogs and cats is designed to effectively clean ears from dirt and debris. It gently cleanses without irritating sensitive skin, and removes odor. Zymox contains ingredients Lacoperoxidase, Lactoferrin and Lysozyme to aid in the prevention of ear infections. Consult with your pet's veterinarian before using this product. Puriﬁed Water, Glycerin, Propylene Glycol, Benzyl Alcohol, Sodium Lauryl Sarcosinate, Fragrance, Zinc Gluconate, Glucose Oxidase, Lactoperoxidase, Lactoferrin, Lysozyme.